Start your mornings off right with CHOCOLATE! 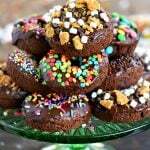 These Chocolate Cake Mix Donuts are topped with a silky chocolate glaze and an assortment of fun toppings. S’mores, Almond Joy, sprinkles – which will be your new favorite? Chocolate for breakfast? I’m all in! 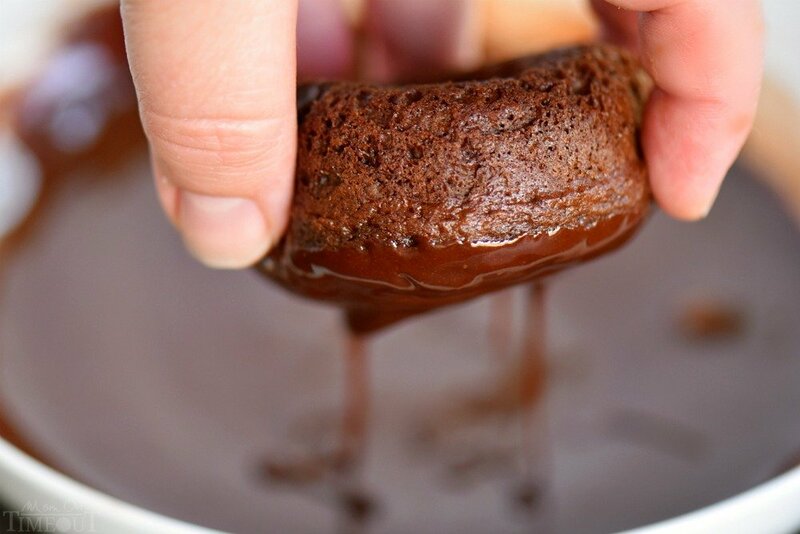 Especially when they’re these crazy easy Chocolate Cake Mix Donuts with the yummiest chocolate glaze ever. Like toppings? I’ve got you covered! I’ve got chocolate jimmies, sprinkles, candy, S’mores, Almond Joy and more! My kids go absolutely nuts when I make donuts for breakfast. I love to make donuts but making standard raised donuts can take a lot of time. Time that I don’t necessarily have. These cake mix donuts are a lifesaver and timesaver for mornings when that sweet tooth hits early. I made a bunch of chocolate donuts with fun variations for today’s post but any flavor cake mix can be used. These are super easy and they’re baked – so no mess! Just use a standard donut pan to bake the donuts and you’ll be ready to go in just 10 minutes. I used my favorite chocolate glaze recipe because if you’re having chocolate for breakfast (or dessert!) you might as well go all in. It’s silky smooth and super chocolate-y and great for dipping! 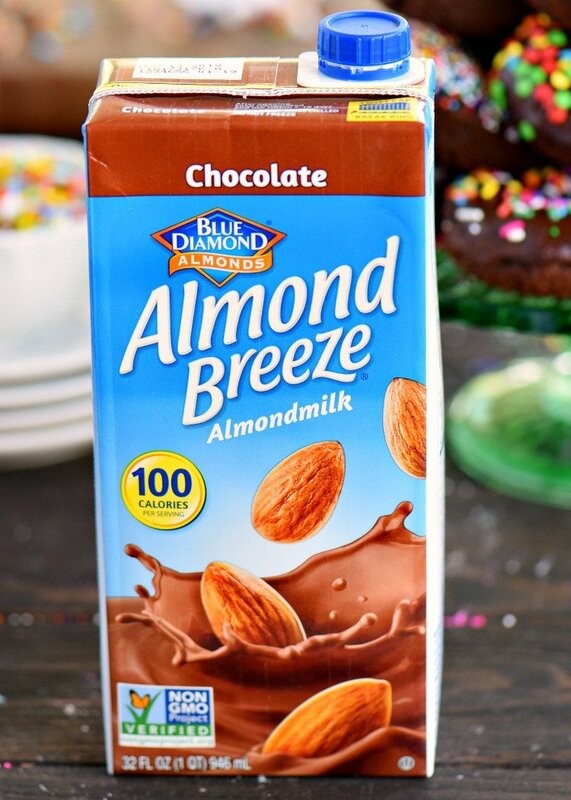 And speaking of chocolate, to really amp up the flavor, add Almond Breeze Chocolate almondmilk. 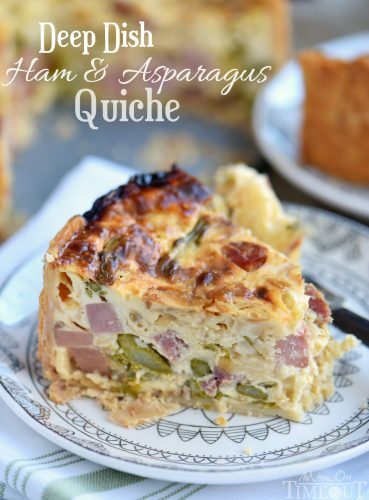 It’s available in both refrigerated and shelf stable so you can keep it on hand in the pantry. 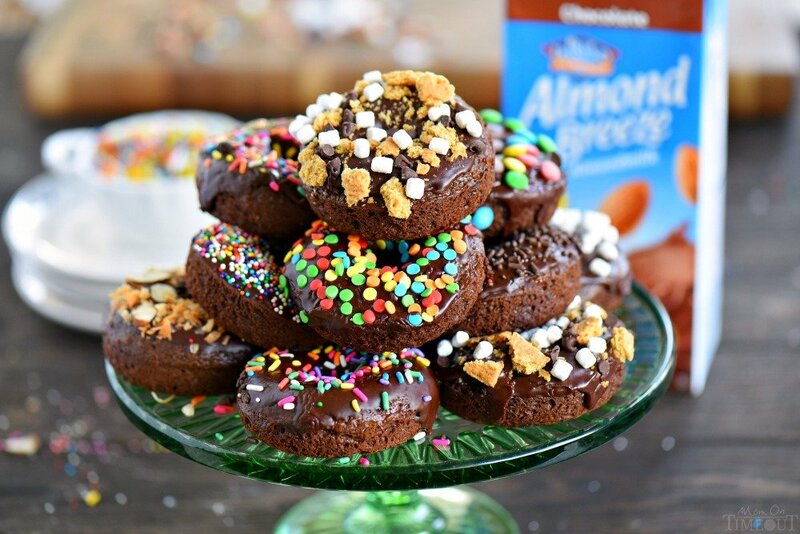 It adds even more chocolate flavor to these delicious chocolate donuts! Feel free to use unsweetened chocolate if you like. If you’re making strawberry, carrot cake, or vanilla donuts try Almond Breeze Vanilla almondmilk instead. Toppings are a must when you’re making donuts at home. I love trying out new combinations and I’ve got a few here to share with you. 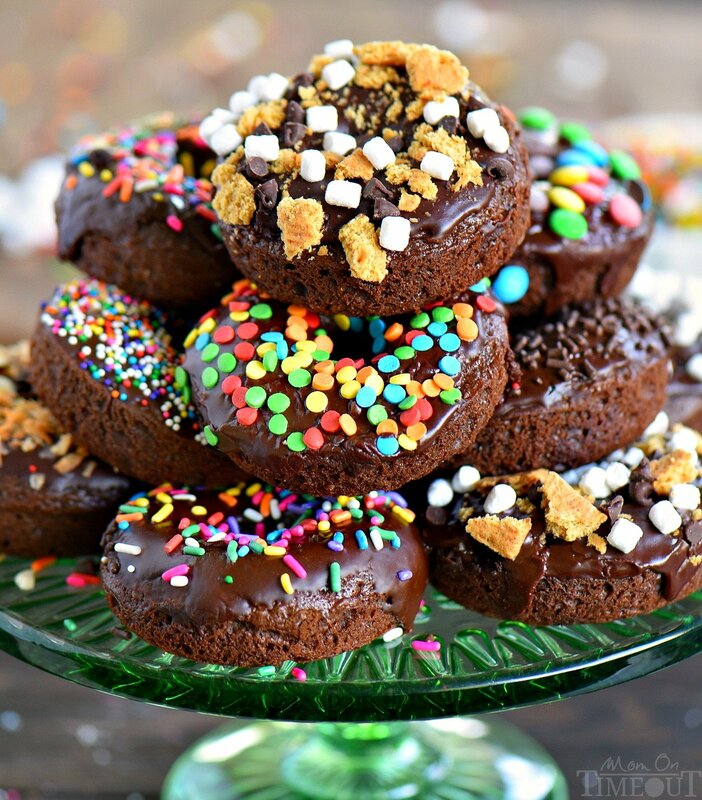 Candy Land Chocolate Donuts – Any favorite candy will do – just chop small (think Snickers, Heath bars, Butterfingers). We used the tiny M&M’s found in the baking aisle for a fun splash of color. I get about 18 donuts per batch so keep that in mind if you plan on making more than one flavor. The great thing is, these are really just cake shaped like donuts so if you’d like, you can always make extra batter into cupcakes for the next day. This chocolate glaze is delicious drizzled on top of cupcakes as well. My boys love strawberry cake mix donuts as well and with this easy lemon glaze, they are mouth watering! Keep in mind that these donuts are sweet – they are cake after all! 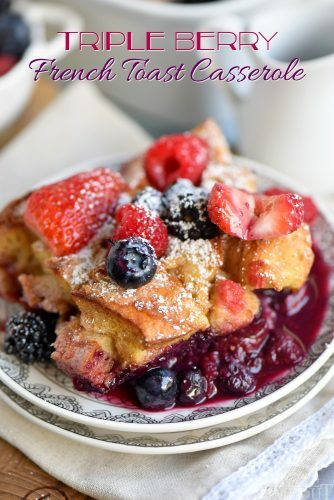 A wonderful addition to brunch, they can also be served as dessert! Use a high quality donut pan with nonstick cooking spray for best results. You want the donuts to just slide out. You really need to let the donuts cool completely before dipping otherwise they might crumble. Be gentle when dipping. Take your time and you won’t have any problems. Go crazy with the toppings! This is the best part. I love watching my boys and husband pick out which one they want to try first. Each donut is a new adventure! Preheat oven to 350F. Spray a donut pan with nonstick cooking spray and set aside. Combine cake mix, egg, vegetable oil and almondmilk in a large bowl. Whisk together just until smooth. Transfer cake batter to a large plastic bag and using scissors, snip off once corner of the bag. Pipe cake batter into prepared donut pan until the well is about half full. Do not overfill! Bake for 10 to 12 minutes are until an inserted toothpick comes out clean. Let cool in pan for 10 minutes before removing to a wire rack. Let cool completely before dipping. Sift the powdered sugar and cocoa powder into a medium bowl. Slowly add the almondmilk and vanilla extract. Whisk together until smooth. Too thick? Add additional almondmilk a drop or two at at time. Too thin? Add a little more powdered sugar a teaspoon at a time until desired consistency is achieved. 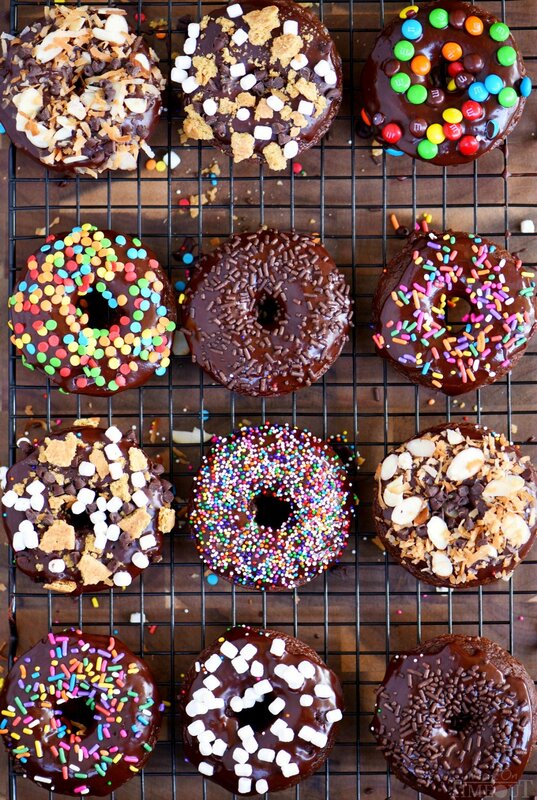 Dip cooled donuts into the chocolate glaze and top with desired sprinkles and/or toppings. Enjoy immediately. Store leftovers in an airtight container in the fridge. Craving for these! These would disappear in our house! Oh so yummy!! These are making me drool! I know I would love these for sure! Yummy! Chocolate + chocolate = always a good idea 🙂 Thanks Abeer! OMG! These look fantastic and they are so easy to make! So fun!! 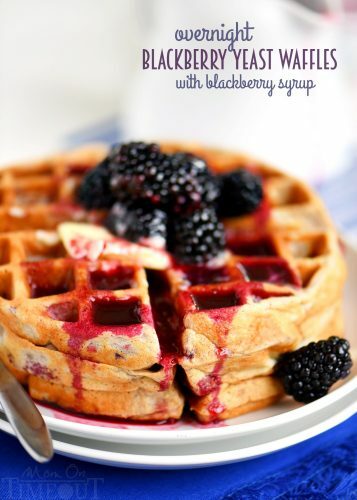 Looks delicious…my kids would love these! The toppings take them over the top for sure! Lol! But sooo worth it!